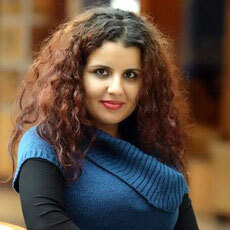 Ines Abassi (Tunisia / UAE) is a Tunisian poet, children`s writer, translator and novelist. She has published three volumes of poetry. Two of her books have received regional literary awards. She also spent a six-month residency in Seoul and wrote Tales of the Korean Scheherezade out of that experience. 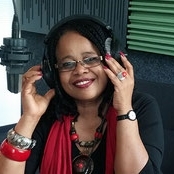 Her work has been published in numerous outlets. Some of her poems and short stories were translated into English, French, Korean, Danish and Swedish.S he was the executive publisher for Dar Anahla Saghira (the little bee house) , 2014-2016 and published 20 children books..
zu einem Körpers auf der Straße, "Habib Bourguiba"
تمد أغصانها إلى إخوتها كي يقلن "لا"